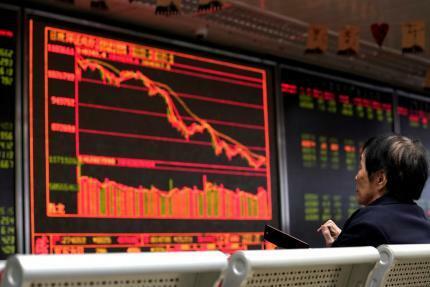 SYDNEY (Reuters) – Asian share markets consolidated their weekly gains on Friday as Sino-U.S. talks produced a lot of headlines but no conclusions, while caution ahead of U.S. payrolls and a holiday in China dampened volatility. MSCI’s broadest index of Asia-Pacific shares outside Japan eased 0.1 percent but was only just off its highest since the end of August. The index was still up 1.8 percent for the week and 13 percent for the year so far. Japan’s Nikkei added 0.3 percent, to be 2.8 percent firmer for the week. E-Mini futures for the S&P 500 edged up 0.1 percent. Investors are also waiting on the U.S. payrolls report, which is forecast to bounce back by 180,000 in March, following February’s distorted 20,000 rise. One focus will be hourly earnings, which climbed to 3.4 percent in February, the fastest pace since April 2009. Hopes for a solid number were boosted by data on jobless claims which fell to a 49-year low last week, pointing to sustained labor market strength. The euro was flat at $1.1223 having dipped overnight in the wake of poor German data. Industrial orders there fell by the most in more than two years in February as foreign demand slumped, another sign that Europe’s largest economy had a weak start to the year. Pro-Brexit lawmakers in Britain’s upper house of parliament tried on Thursday to thwart the approval of a new law that would force Prime Minister Theresa May to seek a delay to prevent a disorderly EU exit on April 12 without a deal. Brent crude futures were off 23 cents at $69.17, while U.S. crude eased 3 cents to $62.07 a barrel.